It’s January. So what better time to flex our PR muscles and squat-thrust our way into coverage heaven for our client Universal? 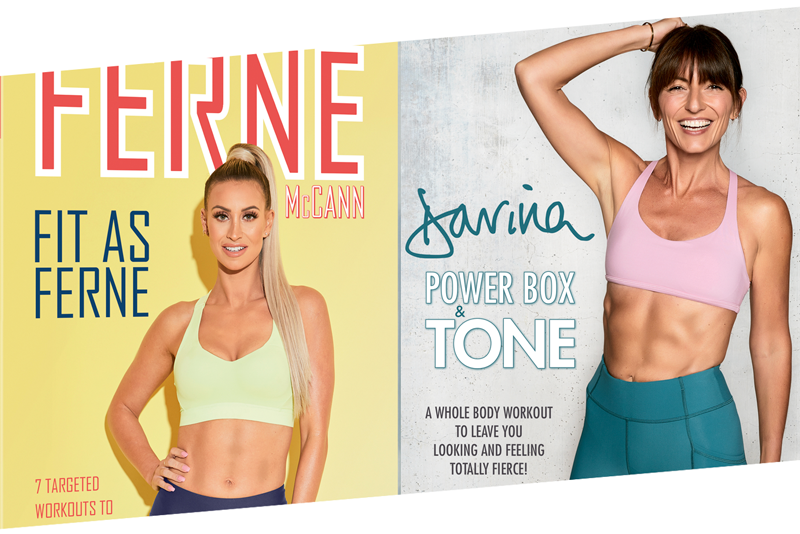 Our work devising the strategy and delivering the publicity for the fitness DVDs, released simultaneously from TV personalities Davina McCall and Ferne McCann, has landed the sort of coverage Jane Fonda herself could have only dreamed of. We nailed features in every women’s consumer title for both products and secured broadcast appearances on ITV’s This Morning among others, while carefully orchestrating a social media campaign to match… striking up close to a million views on Instagram. And then there was the minor point of 13 days’ continuous coverage on the world’s most read news website, MailOnline. As a result, both DVDs have soared into the top 10 of the Amazon DVD chart. Amid an intense ‘Ferne v Freddie’ battle, the TOWIE star even stole the No.1 spot from Golden Globe winning Bohemian Rhapsody. It's not a kinda magic. We Are The Champions. Driving change is what we're all about at Goldbug, whether it's a brand overhaul or a piece of campaigning PR - which is why our new partnership with Andersen EV is a match made in comms heaven. Andersen is a British manufacturing company making best-in-class, premium EV charging units. Founded with an uncompromising belief in design-led products which are as practical as they are beautiful, Andersen is already the brand of choice for many EV owners in the UK. As the surge towards electric motoring continues apace, we're going to be telling their story - of how a British brand is ahead of the curve and ready to serve the motorists of tomorrow. Keep an eye on these guys, they're going to take off faster than an Elon Musk Telsa strapped to a Falcon Heavy rocket. Marks out of ten?... 518. Question – what’s red hot, has six faces and enough legs to produce 518 pieces of coverage in 24 hours? Answer – our Back To School campaign for Internet Matters. The culmination of three months’ planning, a brilliant story idea and two weeks of selling-in landed our client 324 broadcast mentions, and 194 individual pieces of print and online coverage on the morning British kids were packing their pencil cases for the new term. Our campaign focused on the extra online pressures kids face as they transition from primary to secondary school – and the debate over whether children should be allowed mobile phones inside school gates. Working with experts from Internet Matters, we created a suite of video guides for parents, while Mr Burton, of BAFTA-winning Channel 4 docu-series Educating Yorkshire, (you’ll remember him for helping the boy overcome his stutter) delivered the message live from his school, joined by five other faces - Dr Linda Papadopoulos, a case study mum, two pupils and the CEO of Internet Matters, Carolyn Bunting. It’s fair to say our story sparked a massive response - not just across mainstream media, but as a talking point for parents on social media, thanks to an eight-minute feature on BBC Breakfast, being carried on BBC Radio 4’s Today programme, Radio 5 Live, and every major news title online as well five national print titles. Most importantly, the campaign has met and exceeded our client’s objectives – owning the Back To School/online safety space, driving traffic to the resources and reaching the target audience with advice at a time they need it most. England may well be romping home in the football right now. But our team at Goldbug has also been banging in the goals - officially becoming a multi-award winning agency after scooping a series of gongs with our client Internet Matters. Our integrated campaign surrounding cyberbullying won a big fat GOLD at the Corporate Engagement Awards 2018 – highlighting the brilliant collaboration between our client and their partners. Meanwhile we brought home a bronze award for best PR and external communications for our campaign focusing on digital resilience and teenage love in the digital age. Internet Matters also picked up a bronze for most effective long-term commitment for its industry partnersips with BT, EE, Sky, TalkTalk, Virgin Media, Google and the BBC – which we’re proud to have played a part in over the three years we have been working with them. So if you see us breaking out into a goal-celebration-style Fortnite dance, then you’ll know why. Today we’re delighted to announce our new strategic partnership with TEDx Brighton, one of the UK’s leading speaking events. The exclusive partnership will see us providing media relations for TEDxBrighton, as well as a pipeline of speakers for the event, which takes place at The Brighton Dome in October 2018. TEDx gives speakers a huge reach on a very trusted platform, giving them a chance to share their brilliant and inspiring stories with as many people as possible. 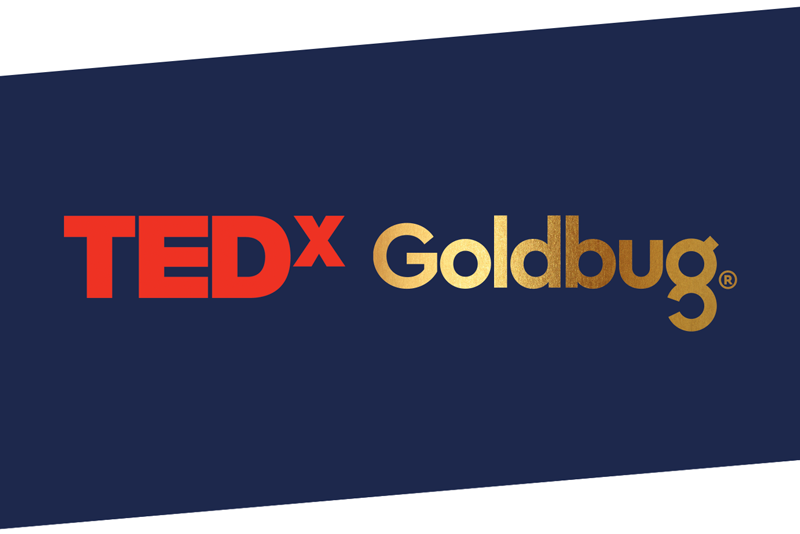 Over the last few years we’ve built up a close and successful relationship with the TEDx team, so we’re pleased to formalise that into an official partnership and make this year’s event the most successful ever. 2018 Event info will be launching soon. In the meantime, catch-up on 2017's TEDxBrighton highlights here. Awards nominations – they’re a bit like London buses. No sooner than we announced to great fanfare being shortlisted in the PRCA Dare Awards, we hear we’re in the running for yet another gong. We’ve been nominated in the Corporate Engagement Awards for best PR and external communications alongside our client Internet Matters for our campaign around online safety, focusing on digital resilience and teenage love in the digital age. Internet Matters meanwhile has picked up further nominations for its campaign on cyberbullying, which we’re proud to have played an instrumental part in, as well as its innovative partnerships with industry, including BT, EE, Sky, TalkTalk, Virgin Media, Google and the BBC. A stratospheric pat on the back to the IM + GB team. Onwards to the ceremony. Innovation and sustainability is at the heart of everything Pure Planet does. And as their full-time newshounds, we like to make sure no element of the Pure Planet story goes unsniffed. This week the brand announced how it is going to equalise the rules around parental leave - so its new mums and dads can take 52 weeks leave off…at the same time and on the same terms. It’s a ground-breaking move which helps level the playing field on maternity leave, making it a universal right for mothers and fathers to take up to a year off after the birth of a child – and one Pure Planet hopes will inspire other big brands to follow. Sharpening our quills, we saw a story, and so did the journalists we spoke to, providing a stream of print and online coverage and BBC Radio interviews with Pure Planet co-founder Steven Day who explained the thinking behind the move. Well… after all we are the experts in (ahem) delivery. DARE may be bubbles ahead. 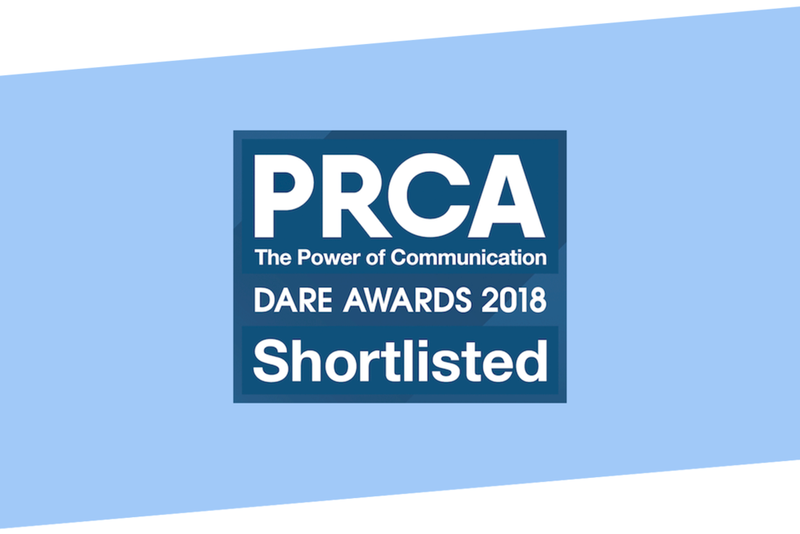 The brilliant team at Goldbug (even if we do say so ourselves) is in the running for a gong at the prestigious PRCA Dare Awards. We’ve been shortlisted for our ground-breaking campaign for Internet Matters which encouraged millions of parents to teach their children how to stay safe online. Our Digital Resilience project - which explored the habits of teenage relationships online - achieved more than 500 pieces of mainstream press coverage and became a strong talking point across social media earlier this year… all on a super-tight budget. Time to dust off the tuxedos, tune up our tiaras, stick the Champagne on ice… and cross our fingers and toes. 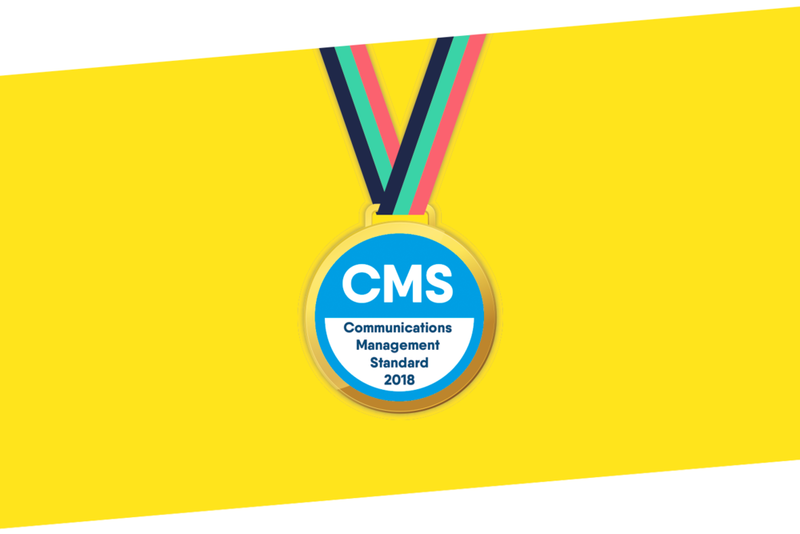 Goldbug has been given the stamp of approval by the official PR industry body - being awarded the Communications Management Standard (CMS). The certificate from the Public Relations and Communications Association (PRCA) is - in its own words - “the hallmark of comms excellence”. Of course we already knew this, but it’s proof we have a well run business with all the correct systems and structures in place. It also shows we have a real commitment to our staff and can give our clients peace of mind they’re partnering with a team committed to excellence. Basically, it’s a comms gold medal. We’re looking for an experienced Account Manager to join our busy and growing PR team. This role will suit somebody who is enthusiastic, confident and enjoys developing relationships in the media. We are an independent Brand and PR agency located in heart of W1. Led by a team of ex-national Newspaper and TV journalists, our PR team specialises in helping brands find their purpose and bring it to life through compelling story-telling. Our clients include some of the UK’s biggest brands and not-for-profits across sectors including tech, education and sustainability. The role will offer you the opportunity to learn from media experts and the opportunity to progress quickly. It's cheaper to be green. Conscious consumerism is on the rise - but don't be fooled into thinking it's more expensive. This week The Telegraph ran our story on Pure Planet member Tracey Pennington, who has stopped buying from non-sustainable brands AND saved over £23,000. After switching to Pure Planet and saving £500 on her energy bills, Tracey started thinking about the other changes she could make to her lifestyle to do her bit for the environment. She cut back on long-haul holidays, swapped dining out at top steak restaurants for vegetarian home cooking and even stopped buying her beloved MAC lipstick. Read her story here…then turn the heating down and put a jumper on! We’ve been in our new HQ for less than three months – and we’re already making a splash. Well, to be precise, the supreme Goldbug team has been featured in the latest edition of The Office Group magazine's 'Meet the Neighbours' spread. Publicity Director Lara was interviewed about the thrills and spills of running an on-the-up agency – from the music we listen to (and play) to why we decided to launch the business in the first place. We spend a great deal of our time telling clients ‘a picture never lies’. In this instance, it couldn’t be further from the truth. We love where we work – and what we do. And we’re a very happy bunch. (We are!) The photographer just caught us on a bad day, OK? Teen romance is more complicated than ever. But one thing’s for sure - it’s grabbing headlines. Our campaign for client Internet Matters focusing on love in the digital age has now secured more than 500 pieces of coverage and reached 13 million people… and counting. We worked with child psychologist Dr Linda Papadopolouos to devise and deliver a campaign aimed at parents to encourage their children to build up their resilience online. We explored some of the biggest issues children encounter in the digital age compared to their parents' generation. We found social media is having a profound affect on teenage relationships - particularly in the way young sweethearts (yeah, OK, we know no-one uses this phrase) interact with each other has changed. We created the The Digital Resilience Report, accompanied by videos for parents, which showed how 1 in 5 children aged 11 - 16 were happy to have online only relationships; and 1 in 10 only ever speak to their boyfriends or girlfriends online. Meanwhile more than a quarter of kids felt it was important to announce their new relationship online. The story captured the imagination of parents and the media, featuring in The Guardian, The BBC, The Daily Mail, The Mail Online, The New York Times, The Sun, The Daily Mirror, Sky News, TalkRadio, and across all regional and local newspapers. So there's only one thing left to say... loveheart smileyface hearteyes winkeyface fistpump handclap - Yay! It's the news we knew all along but finally it's official - PR is better than advertising. Well, although we report this with tongue firmly in cheek, it certainly seems to be the case when it comes to the energy world. This week our exclusive research for client and renewable energy company Pure Planet has revealed how positive media coverage and a good reputation in the press is more influential than good advertising for consumers choosing their next energy company. The People & Power report was produced in partnership with Opinium as a state of the nation style survey into the British public's attitude to energy. Among a long list of newsworthy findings on subjects ranging from Electric Vehicles to the price of a cup of tea, was the reassuring stats around the value of PR - which featured on the home page of PR Week. After a year's worth of negative press for the Big Six energy companies following yet more price hikes and bumper profits, the research may go some way to explaining why the UK's biggest energy brands lost more than a million customers in 2017. In the past decade the Big Six market share has shrunk from more than 99% to around 80 per cent, with innovative brands like Pure Planet offering cheaper cleaner energy with a modern, digital service.